BATAVIA — Calling it the Cedar Valley is a bit of a stretch, really. 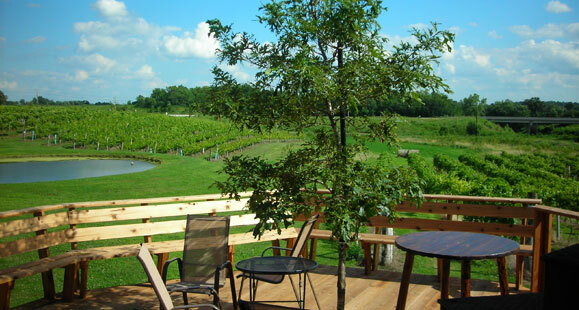 Yes, the Cedar Creek runs right on the edge of the vineyard. And it is true that hills rise on either side of the property. But the change in elevation is maybe 50 feet. 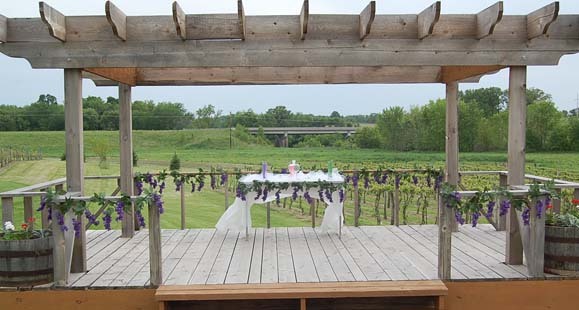 Cedar Valley Winery in Iowa does sound good, though. Seth Miller admits the valley designation is more for the label than the location. The fact that the winery already has a medal after being open only two weeks goes a long way toward dispelling any thought that this is a vanity project. Seth and his father, former state Sen. David Miller, are serious about making good wines. 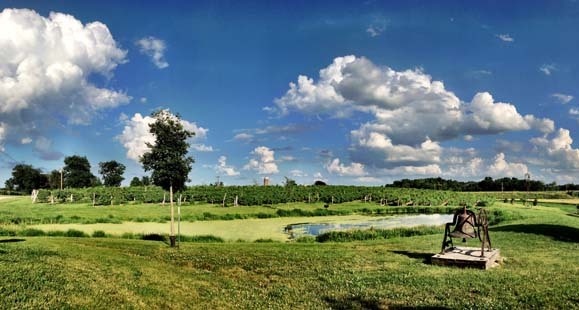 The idea of a winery was the elder Miller’s idea. He went to areas in southeastern Europe that have had vineyards for millennia and saw some familiar things. Mid-American wines are not new, but they are frequently overshadowed by California and upstate New York. But Missouri had major wineries for decades before prohibition. The state even sent vines to restore French vineyards after disease threatened the French industry. 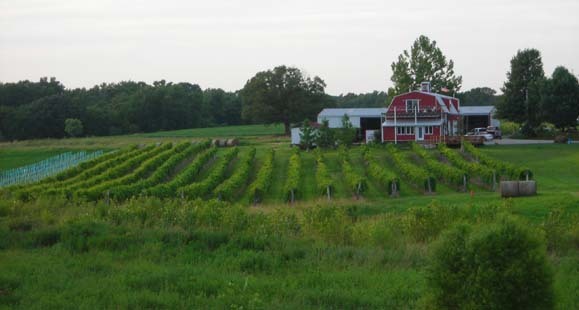 Missouri’s wine industry is established and growing. Iowa’s has at least one of the two points in its favor. 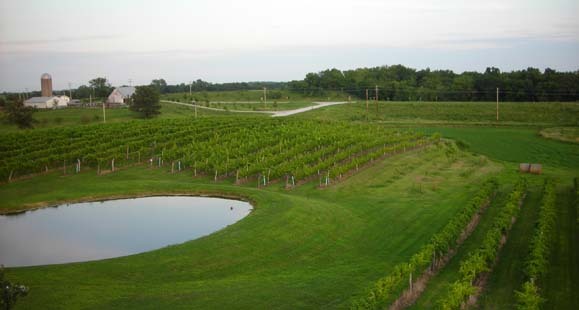 Several new wineries in southern Iowa and mid-Iowa have opened in recent years. The Millers are part of a trend they figure will take time to mature, just like the vines themselves. It takes at least three years for the vines to produce a grape harvest. It takes longer for them to produce a good harvest. 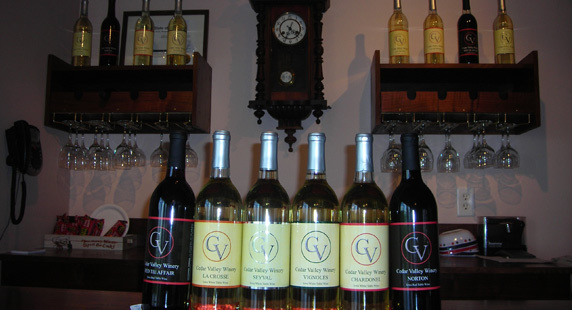 Cedar Valley started as a 5-acre test in 2002 after David attended a grape-growing conference in Iowa. He figures attendance was maybe 15-20 people. “It was about all the wineries there were at the time,” he said. The first couple harvests went to other wineries. They were part of an open secret within Iowa’s wine industry. There are enough wineries but not enough grapes. 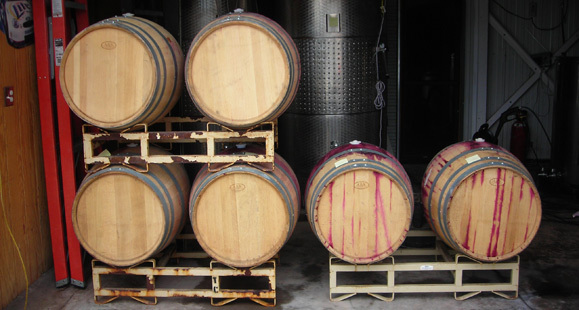 Wineries buy grapes from other growers and even import them from other states to make up the lack of home-grown fruit. David and Seth almost finish each other’s sentences when they talk about their winery. Both have what most people would call day jobs, but their shared vision is a winery that eventually becomes the family’s full-time business. “It gave Seth a reason to come home from Kansas City,” David said. “There’s a lot to learn,” David said with a grin. 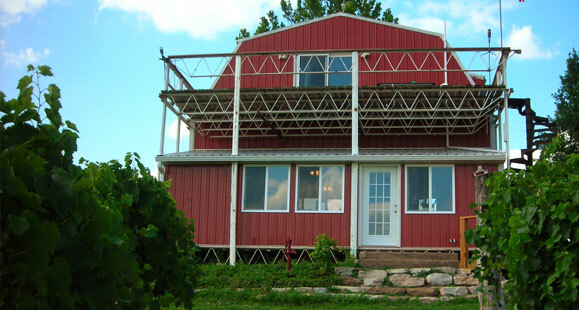 For now the winery concentrates on seven wines, several of which are rare in Iowa because of the state’s winters. Three are grapes for red wines, four for white. They skew toward drier wines. “We’re hoping to be known for quality dry wines,” said Seth. There’s risk in that plan. 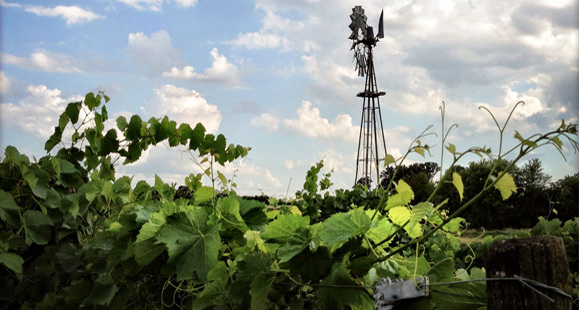 Iowans tend to drink more sweet wines than dry. That explains why the winery makes a couple sweet table wines even though its goal is to be known for drier products. Plant only for your palate, David paraphrased, and you’ll fail. But they’re off to a good start. The 2008 Seyval, a dry white with fruit undertones, won a bronze medal at the Mid-American Wine Competition, the winery’s first. 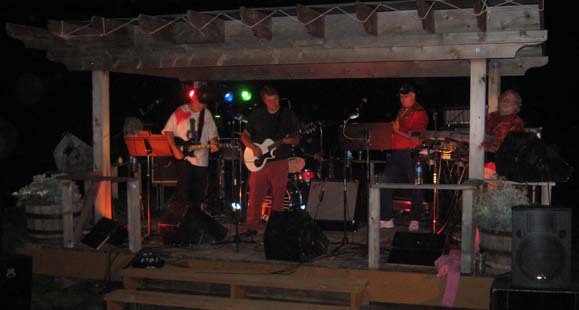 And the winery’s Fourth of July grand opening drew about 400 guests to the vineyard and small tasting room. The Millers plan expansion, but it will come slowly. They hope to eventually have 10 acres or so of vines. 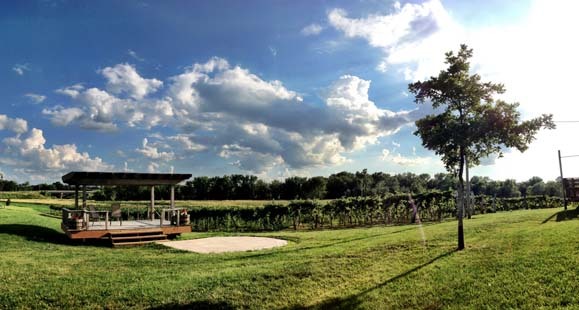 With the vineyard at six acres now, there’s plenty of room for more.